In keeping with artist David Opdyke’s previous work, this site-specific installation serves as a critique of U.S. culture and politics. 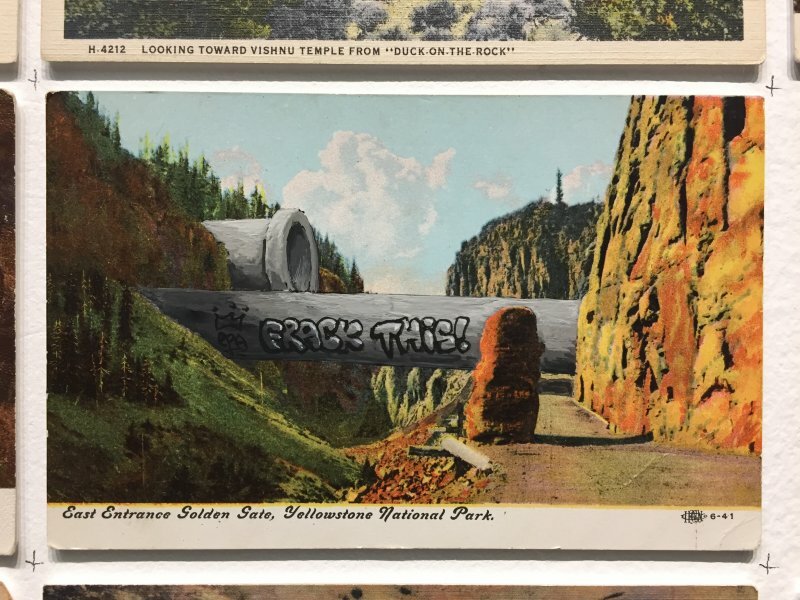 In an era of fake news and daily hyperbole, Opdyke literally changes the picture by hand painting on 528 vintage postcards of well-known American landmarks and destinations. 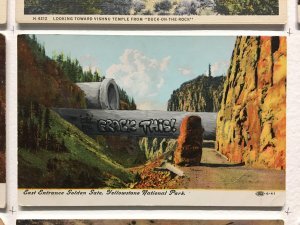 The postcards are assembled into a large mural--a vast gridded landscape beset by environmental chaos. Each card is placed to fit into the overall image, and carefully modified with the gouache to show a realistically rendered piece of the overall turmoil. The installation also features animated shorts and script-driven video, which take place within the visual confines of one or more postcards. The animation is inspired, in part, by Terry Gilliam’s animation work on Monty Python’s "Flying Circus" and by the classical music sound effects in the Road Runner cartoons. David Opdyke is a draughtsman, sculptor, and animator known for his trenchant political send-ups of American culture. Born in Schenectady, NY in 1969, he graduated from the University of Cincinnati with a degree in painting and sculpture. His work is informed by the massive industrial and corporate restructuring he witnessed growing up, namely the abandonment of the city center by manufacturing giants General Electric and ALCO. As GE shifted resources to neighboring Niskayuna, the disparities became hard for Opdyke to ignore. Massive, decaying factories, an empty interstate loop, and unemployment were downtown; new streets, expensive homes, sushi and shopping malls were in the suburbs. For 20 years Opdyke worked as a scenic painter and architectural model-maker. Ranging from intricate miniature constructions to room-sized installations, his artwork explores globalization, consumerism, and civilization’s abusive relationship with the environment.